that when the baby came I’d be myself but better. I’m not. 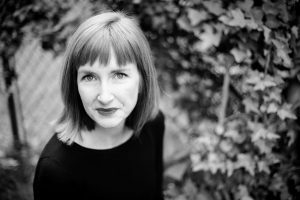 Nancy Reddy is the author of Double Jinx (Milkweed Editions, 2015), a 2014 winner of the National Poetry Series, and the chapbook Acadiana (Black Lawrence Press, 2018). Her poems have appeared or are forthcoming in 32 Poems, Blackbird, The Iowa Review, Smartish Pace, and elsewhere. The recipient of a Walter E. Dakin Fellowship from the Sewanee Writers’ Conference and grants from the New Jersey State Council on the Arts and the Sustainable Arts Foundation, she teaches writing at Stockton University in southern New Jersey.